I made these bread rolls based on the sweet bread recipe shared by Edith. Her blueberry and cheese bread buns look so soft and fluffy that I bookmarked the recipe right away. I was planning to make some char siew buns, but decided against it since I still have a pack of ready-made red bean paste. To make these buns, you need to plan a day ahead. The 烫种 or 'scalded-dough' has to be made and leave to chill for at least 12 hours in the fridge. The 烫种 is made by scalding flour with hot boiling water so as to increase the water-binding capacity of the dough. A dough with higher water-binding capacity will suffer less moisture loss during baking, and it will not dry out or age too quickly after baking. As expected, this dough is less wet and sticky than the one made using 汤种 or water roux method (see post on Cinnamon Rolls), since the water content is lesser. The dough is also much easier to work with, as it doesn't stick to the work surface at all. In fact the dough was very stiff before the butter was added. I was quite worried that I would end up with a tray of rock buns. It took me about 30mins to get to the window pane stage. Pardon the lousy image as I was trying to do the window pane test with one hand, and the other holding a camera! The dough is easily stretched to a thin membrane, and the holes come with smooth edges. I made some into red bean rolls and some into buns. The buns were indeed very soft and fluffy, freshly baked! The texture was comparable to those you get from bakery shops. Take a look at the image on the left, base on the exterior of the buns, I am not sure whether you could tell how soft and tender they were? The buns felt 'puffy' as the crust was very thin. However, even though I stored them right away in an air-tight container, the buns were less soft the next morning :( In fact, they don't taste very different from those I made using the straight dough method. Personally, I think the 汤种 or water roux method is actually better as the buns remained as soft when left over night. But, if you do not have a standing mixer or a bread machine like me, this 烫种 or 'scalded-dough' method is easier on your arms if you were to knead by hand. I have bookmarked another 烫种 recipe, will give it a go and hope it will give a better result...ie easy to knead by hand and yet will not age that fast. Add the boiling water in (A) into the flour, stir and mix to form a rough dough. Cover dough and set aside to cool. Leave to chill in fridge for at least 12 hrs. Place ingredients in (B) in a mixing bowl. Mix well. Make a well in the centre, and add in ingredients in (C). Knead to form a rough dough. Knead in scalded-dough in Step 1. Transfer dough to a lightly floured work surface. Knead the dough till smooth. This should take about 10mins. This dough is quite easy to knead as it does not stick to the surface. Knead in the butter in (D). Continue to knead the dough until it no longer sticks to your hand, becomes smooth and elastic. This should take about another 15~20 mins. Do the window pane test: pinch a piece of the dough, pull and stretch it. It should be elastic, and can be pulled away into a thin membrane without tearing/breaking apart easily. Place dough in a lightly greased (use vegetable oil or butter) mixing bowl, cover with cling wrap and let proof in room temperature (around 28 to 30 degC) for about one hour, or until double in bulk. Remove the dough from the bowl and give a few light kneading to press out the gas in the dough. Divide the dough into 8 portions (about 60g each). Roll each dough into smooth rounds, leave to rest for 10-15mins. Flatten dough into a round disc. Wrap each dough with one portion of the red bean paste in (E). Pinch and seal the seam tightly. Flatten the dough into a round disc and roll out into a longish oval shape (about 15cm in length). Use a knife or dough scraper to make a few slits(see photo below, do not cut through the edges). Roll up swiss-roll style, seal and pinch the edges. Place the rolls, seam side down on a greased (or lined with parchment paper) baking tray. Leave some space in between the rolls to allow them to expand. Cover with damp cloth or cling wrap and leave doughs to proof for the second time for about 45mins, or until double in size. Brush top with egg wash (mix leftover egg with 1 tbs water) and sprinkle with some white sesame seeds. Bake in pre-heated oven at 190 deg C for 15 mins or until golden brown. Remove from oven and once cool store immediately in an airtight container. To think that the simple technique can result in such wonderful looking bun is amazing. Yes, from the last picture, I could tell it is very very soft. Just like those we get from Asian Bakeries! You knead well and make good breads HHB! oh my goodness, a recipe for red bean rolls! my husband and i love these and make a point of going to the chinese bakery every time we are in town. wow, he would be so impressed if i made some myself! Last week when i tried using my breadmaker, my house's electricity tripped! I wonder whether my BM has "die-d" on me? I'm missing my homemade breads, especially seeing beautiful buns like yours! I love these gorgeous-looking rolls! Beautifully shaped. I should try making this.. I love red bean rolls..
Beautiful buns there! Well Done! I loveteh description of how you rolled the buns with the slits in! Very pretty! Hubbs has just bought me a food mixer and I want to use the dough hook to make chinese buns! He loves red bean paste too! HHB, the buns looks soft and fluffy. So this is the method tat you are recommending to me? I am going to try this, thanks so much! You are really good at bread making. The slitted buns look really professional. Even better looking than some of the ones sold in bakeries. Thanks for sharing the tips on how to do the slits. I think I shall get the book and try this one day. I will be practicing the direct fermentation method first before going on to other indirect methods and techniques like tangzhong, water roux and other western bread making methods. Beautiful, I love anything with bun and red bean, wish I could have some! These look great. I was going to bake buns anyway, then saw your post, so tried making some in a similar style/design. Thanks for the inspiration! ReeseKitchen, if you have a standing mixer, then you should try the water roux method, it is not as difficult as it seems. The only thing is the dough is very wet, it takes too much hard work to knead by hand. Thanks Angie! When I first started to make bread, I studied many of your bread recipes :) Thanks for sharing! Swee San, I like to made red bean buns as I love tau sar since young! Pei Lin, I saw your flickr photo before you left this comment :) I am waiting for your blog post! busygran, I just hope they could stay as soft the next day! Jess, yes, this dough is much easier to work with. Actually, I made it a point to take photos of the window pane test to show you that it can be done within 30mins. The only thing is I was kneading it alone, if not I would ask my kids to take a video clip of the kneading process. Think I will give this a try! They look wry good , and best of all it's yeast free! Thanks for sharing! Hi HHB, your Bread posts always made me droolz.... and I really admire your time spent in making all these lovely bread for your family. Ur rolls are so pretty....I think they look like giant 毛毛虫, cute! I tried this recipe from Alex Goh before, this is the easiest dough I had ever handled, I mean it's not sticky at all after proofing, perfect for shaping. However, the bread turned out a bit dry the next day, a bit disappointed as some of my bread made by straight method can keep longer than this. Honey Boy, you may have mistaken, this bread recipe requires yeast. Cook.Bake.Love, really?! You experienced the same thing? I thought I was being bias, when I feel that some recipes using the straight dough method gave better results. I suspect it is the amount of water used. You are truly a bread expert. Lovely buns/bread came out from your oven all the time. It's been a while since I last went bloghopping. I'm really glad to see a bread post here since I started making my very first breads and buns because I was so inspired by your homemade buns! As usual, your shaping is fantastic! Love the nice clean slits you made and the nice brown shade on each bread! YUMS! Another great looking creation from the bread guru! I've been using "water-roux" for all my bread loaves/buns, and there is no turning back. :) Oh yah, for kneading bread dough, may be you can use a mixture of "摔打" (throw & bang) method to achieve the window pane faster. I find it very effective for me. The buns looks so yummy!! Does this need a bread machine to make? How many days can this be kept? Jess, this recipe is much easier to knead, give it a go, although this bread doesn't keep that well as compared to the tangzhong method. MH, I think I got the same digital scale as yours :) Yes, I got the red bean paste from PH. I find the sweetness ok. Of course if you taste it, it will be very sweet, but when used in bread buns or pau, the sweetness is acceptable to me. You can get a pack to try, it is not expensive. Can use it to make mooncakes too? Reira, I made this bread by hand. You can use a bread machine or a standing mixer to knead the dough. I finished the buns within two days, stored in air-tight containers. The buns were not as soft the next day though. I've given up on hand-kneading bread dough... used my KA and the poor machine kneaded 45mins to reach the pane stage. I also find using the water-roux method yields the same kind of results as the straight dough method. so i've stopped using that. Your buns and rolls looks very nice! It's better then the stall bought one! I think I didn't get my tangzhong correctly the last time I made them. The bread was only soft on the day it was baked. These look so impressive!! I love them! Hope you can enligten me on Overnight sponge dough by Alex Goh. I have recently bought 1 of his book titled Baking Code,all the bread recipe requires Overnight sponge dough, the problem is it just indicate 150g overnight sponge dough, 1 cold egg, 240g cold water. The basic recipe for overnight sponge dough is 100g bread flour, 60g water(room temp) 1/4tsp instant yeast. Am I suppose to increase the bread flour to 150g, water to 90g and 1 1/2 tsp yeast? Thanks in advance. I do not have this book and have not seen it. However, I think you should just prepare the overnight sponge dough accordingly, and once ready to use, measure out 150g. The sponge dough's total weight should be around 160g (100g flour, 60g water). Do note that I may be wrong, since I have not read this book. Maybe you can check with other bloggers who have followed recipes from this book. Thanks for the quick reply. Hm.. maybe will try out and see cos most of the recipe requires different quantity. I got inspired reading your blog, especially looking at the pictures of your creations. Thanks for inspiring me to take on the challenge of baking bread. My only problem is converting the recipe to US measurements, I tried converting it but I did not trust my own conversions. Please help, if you could convert the measurements to tsp, tbsp and cups. Hi Kusinera, I'm sorry I do not have the ingredient amounts in US measurement. I could give you a rough estimate by following an online conversion calculator, but I am afraid it may not be accurate especially when converting small amount. May I ask, do I need to use warm water or just normal room temperature water for ingredient C? I took about 45mins to knead the dough after adding the butter and i can't pass the window pane test.. and my arms were so so soar and the dough seem to be getting drier. However, I still give it a goal and bake.. and the bread came out a little hard.. Am i suppose to continue kneading until i pass the window pane test? Will there be a chance of over kneading? Great, thanks so much for posting. These look fab and am definately going to give them a try! Wow! You are great mum having two kids and spend your leisure baking and posting the recipes on the website. Really, very encouraged.I am also a baking lover.I hope to use your recipe to make cinnamon bread. It has always being my desire to do this bread because of it sweet aroma. Thank you. I hope I can to meet up with you one day if God willing. Hi, is there any particular brand of flour u use? I realized the bread I made age fast even though I follow the same ingredients as urs. Thank! Hi only1, I usually use Prima bread flour. I keep homemade bread in air tight containers to keep it fresh. Wonder how should I keep bread made with some cheese fillings? If keep under room temperature, will the cheese in the bread turn bad? Hope to see your reply. Thanks. I really like your sharing. Hi, I have not tried it...maybe u can keep them in air tight containers, and best consumed within the next day. sorry but i confused with the step. so when you say "Place ingredients in (B) in a mixing bowl. Mix well. Make a well in the centre, and add in ingredients in (C). Knead to form a rough dough. Knead in scalded-dough in Step 1." you mean you knead it and then put both dough together and knead it again? ^^? hi puk, yes, first mix the ingredients in B and C to form a rough dough inside the mixing bowl. Just 'gather' and 'mix' with fingers to form into a rough ball...then put the scalded dough into the mixing bowl, knead/incorporate the two doughs together, to form one dough. Proceed with step 3. Hope you get what I mean? Hi, a short note here! I made this few days ago & now only I saw your recipe. I also made them in Water Roux method! Your rolls looked delicious! Hi, tried making (A) the water roux but it look like bread crumbs instead?? Is 35gm water to 50gm bread flour too dry? In other receipe, the water is much more in proportion. 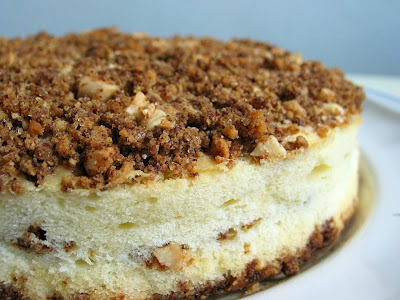 May l know the proportions for a water roux method for this recipe? As you have mentioned that the water roux method keeps the bread softer the next day. Hi, just continue to mix, it should form a dough. for buns made with the water roux method. Hhmm so I also use 84gm of The water roux mixture for this recipe? Hi, no, it is not advisable to use tangzhong or water roux in place of the scalded dough. If you prefer buns made from the water roux method, then follow the water roux recipes. Do follow the ingredients closely as too much flour or too much liquid will affect the result. Oh ok. so i use those recipe and add the filling as red bean paste? ok tks! I can't wait to try making these buns! Thanks for the recipe! 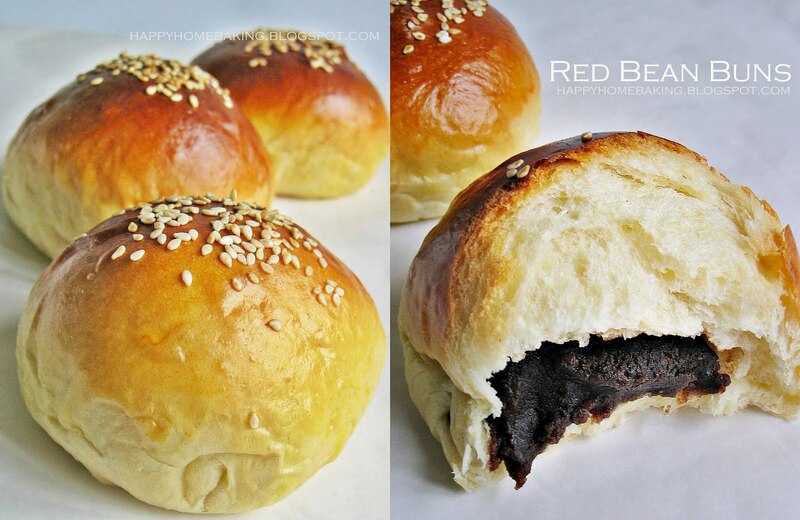 Hi, can I use the sweet buns recipe with this red bean paste filling? Will it be too sweet or the buns itself are slightly sweet. Thanks! Hi, you can use the sweet buns recipe. I have used the sweet buns recipe to make red beans buns. The sweetness is alright for my family. As taste is very subjective, I can't really comment whether it will be too sweet. Hope this helps! These looked so amazing I had to give it a go. It was a big hit! Thanks so much for the recipe. The only change I did was to use black bean paste instead of red bean as I had some leftover.